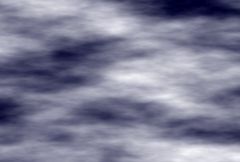 Generates a procedural noise texture. Use the Frequency parameter to zoom in and out of the texture. The Shift Speed parameters cause the texture to automatically translate over time.